It’s really happening. The circular economy is not a green freak initiative that will remain on the desk as an academic thought. New business models are rapidly brought to market and policy makers are finalizing policies for the transition to a circular economy. Let me remind you why this is necessary. Because status quo isn’t an option. Not even improving what we do today is an option. A systemic shift is absolutely vital. Global population is booming and even more so the middle class. By following our current linear model of take-make-dispose we need the equivalent of 2 – 3 earths worth of resources. 80% of all products that are sold today are disposed within a year. This is obviously not sustainable. Not even possible. Thus, something completely different is needed as we enter the future. And the future is now! 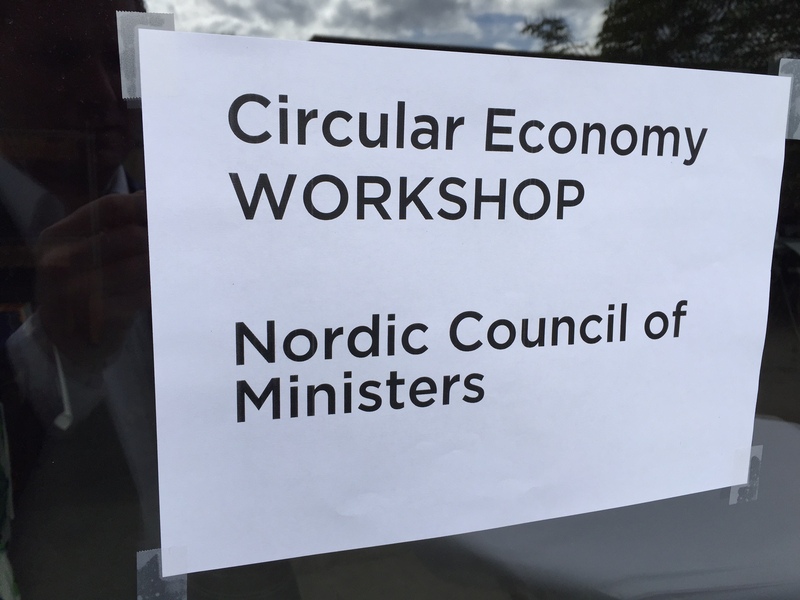 This week I attended a workshop on circular economy initiated by the Nordic Council of Ministers. 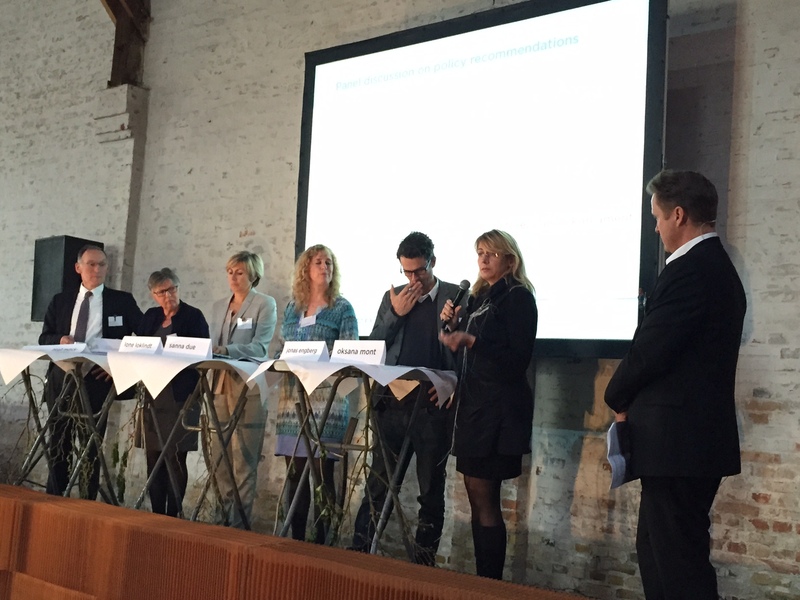 It was an inspiring session, gathering progressive businesses, policy makers and NGOs from the Nordics. It surely underlined the fact that within the transition to a circular economy, Norway is not among the leading pack. Luckily, I would say, EU-regulation on the matter will be implemented in Norway. EU will later this year bring forth their circular economy legislation. 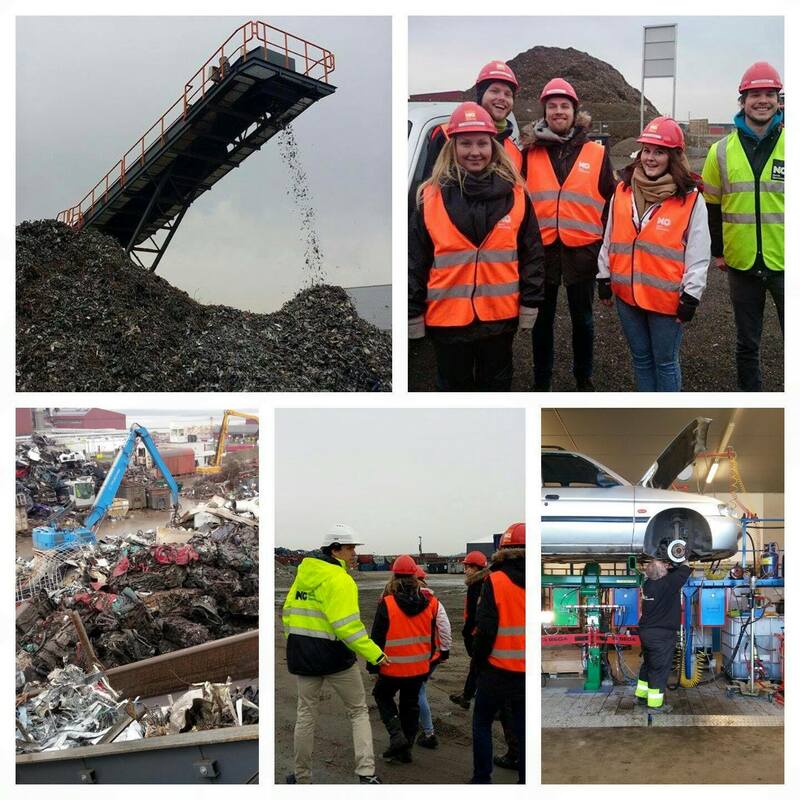 This will not only include ambitious targets on recycling (mainly material recycling), but it will most likely capture the whole concept of the circular economy. Meaning it will address and demand reuse, repair, and remanufacturing of products. Products cannot become waste. They must remain in the value chain. So where does this leave companies in the waste management industry? Waste is disappearing right [?]. We must fight this! Hold on to our (profitable) business models as long as possible. If we did that, it would be the sure death of my company. Rather, we must embrace this shift. And more importantly play an active and innovative role in it. Frankly, we must cannibalise our business model. By advocating waste reduction. This is what our customers want. We have 40.000 customers! But we must do this in a way that is profitable. For us. And for the customer. Done right, the circular economy makes way for business models that are win-win, for us, our customers, as well as the environment and society. In familiar words – truly sustainable. The transition to a circular economy is a massive opportunity for the waste management industry. After all, what are our core competencies? You could say it is collection, sorting and disposing of waste. But I would rather argue that it is knowledge. Knowledge of recycling and of materials. 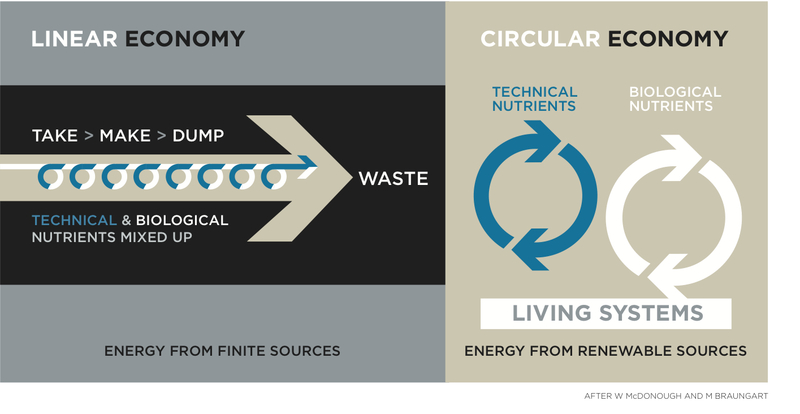 This knowledge may be used (in a profitable way) to speed up the transition to a circular economy. It is not going to be easy. It requires a lot to shift traditional thinking based on a company history of 90 years. But after all, our vision is that we believe waste is the solution to future resource shortage. As we all know by now – by continuing linearly we are going to have a massive resource problem. We represent part of the solution. Circular business models are all about collaborative business models. Companies from the whole value chain – or circle – must together outline new business models. Just like we did when setting up a new model for circulating old windows into raw material for Glava’s insulation production, and as we did when collaborating with Nespresso and Hydro when establishing a recycling solution for Nespresso aluminium coffee capsules. At this week’s workshop I also met a lot of ambitious policy makers. Including a representative from the Danish parliament – representing a party “in the middle”. She turned out to be an advocate of circular economy. Arguing for it in the current election campaign! I have yet to meet that Norwegian politician. Are they even familiar with the concept? I don’t expect politicians, and thus regulation, to lead the transition to a circular economy. However, we cannot live with yesterday’s policy framework. It’s time for bold political moves. And letting go of what worked yesterday. Progressive businesses are ready. They will lead. And the ones not entering the circular economy band wagon? In my opinion – they will be the losers. Stuck with higher costs and an unacceptable carbon footprint. I Norsk Gjenvinning samarbeider vi med en rekke universitets- og høyskolemiljøer. Nå har vi inngått et spennende samarbeid med en ambisiøs gjeng fra Høyskolen i Østfold. De bygger en 100 prosent resirkulerbar bil, tuftet på sirkeløkonomisk tankegang. 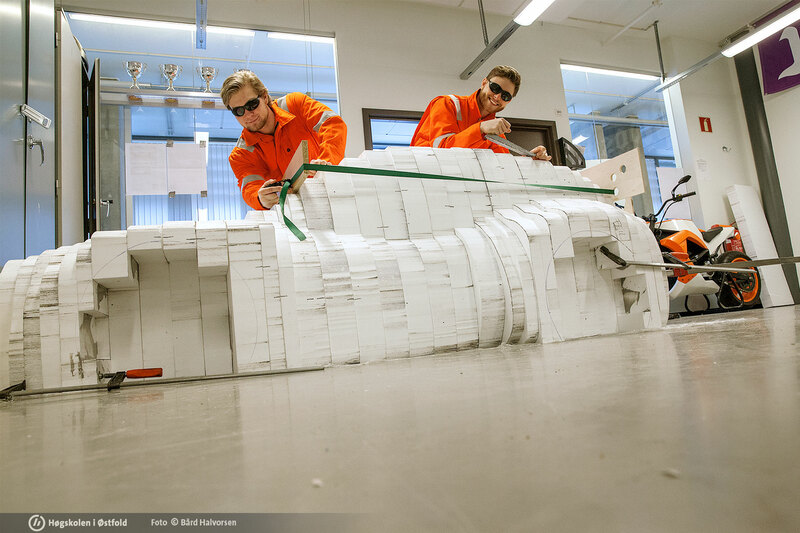 Med denne skal de delta i det store og internasjonale Shell Eco-Marathon i Nederland. Dekan Kamil Dursun og Lill Michaelsen fronter prosjektet. Vi liker prosjektet deres fordi det setter fokus på resirkulering og gjenbruk, samtidig som man forsøker å utvikle morgendagens mobilitetsløsninger. Shell Eco-marathon er en internasjonal konkurranse med hovedmål om å introdusere nye teknologiske løsninger for fremtidens bruk av drivstoff. Her ønsket jeg og åtte andre ingeniørstudenter å være med. Vi satte sammen Team ØUC Shell Eco og skal i mai konkurrere med NG-Sustain – en 100 prosent resirkulerbar bil. I Shell Eco-marathon finnes det flere konkurransegrener. En av dem er Urban Concept, hvor man skal produsere en konseptbil som ligner en ekte bybil. Dersom løsningene viser seg å fungere, kan vårt bidrag være starten på det som vil være fremtidens miljøvennlige bybil. Vår visjon bak bilen er at fremtidens mobilitet skal være bærekraftig; transportmidler skal være 100 prosent resirkulerbare og man skal bruke fornybart drivstoff, samt nøye analyserte materialer. Vi ser for oss at resirkulering vil være svært viktig for å oppnå dette – noe som ledet oss til sirkeløkonomien. Vi brenner for sirkulære prosesser hvor man gjennom resirkulering og gjenbruk kan oppnå bedre utnyttelse av naturens råvarer. Dette har vært et av våre fokusområder når vi har planlagt og bygget bilen vår. Gjennom å bevege oss bort fra lineære prosesser som fører til tapping av naturens råvarer og økte mengder avfall, vil vi at NG-Sustain skal være 100 prosent resirkulerbar. Høgskolen vi studerer ved befinner seg i Fredrikstad. Det gjør også Norsk Gjenvinnings største anlegg for resirkulering av biler, som per dags dato gjenvinner opp imot 95 prosent av bilen. Som pådriver av sirkeløkonomi og med sin brede kompetanse når det gjelder gjenvinning av biler, ble Norsk Gjenvinning raskt en partner vi ønsket i vårt prosjekt. Sammen er vi team ØUC Shell Eco, en sammensveiset og engasjert gjeng som tar samfunnsansvar og som gleder oss til dette eventyret som nå ligger foran oss!